The Best Praise and Worship Album In The World...Ever! 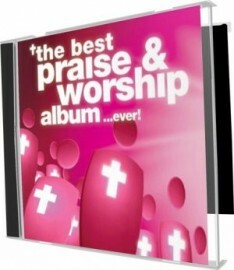 The Best Praise and Worship Album Ever three-disc set from Kingsway Music features the best of today's new worship songs. Fifty influential worship songs you just can't help singing from well established artists including Chris Tomlin, Hillsong, David Crowder Band, and Delirious alongside promising newcomers Ben Cantelon, Bluetree, Marc James, and others. Fifty songs on three CDs to take your worship with you.